Android 2.2 Unleashed for Nexus One -- Who's Next? Where is Froyo for the Droid X? Verizon had originally promised an “early September” Froyo update for the Droid X, but that window has since passed with no comment from either the carrier or the manufacturer, Motorola. Now it appears if the update may be only days away, thanks to a leaked Verizon document posted on Fonearena. The Droid X is intended as Verizon’s flagship Android OS smartphone, which makes the lack of an official over-the-air update to Android 2.2 (aka “Froyo”) seem particularly strange. 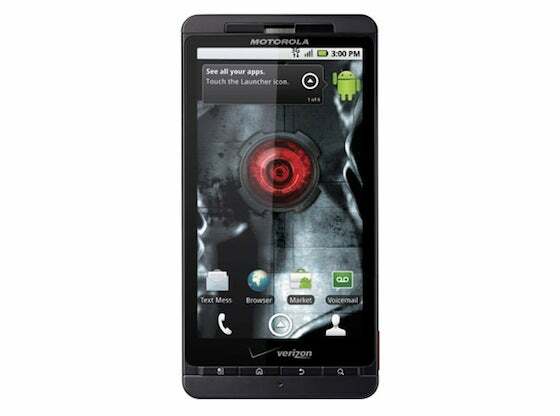 Since Verizon and Motorola released the Droid X with Android 2.1, Verizon also shipped the Droid 2, which came with Android 2.2 preinstalled, and the company also pushed out an over-the-air Froyo update for the original Droid. With the Droid X left in the dust, Droid X owners and Android fans are left wondering if the device is as capable as they’ve been led to believe. Why the update has taken so long to roll-out is anyone’s guess, but the simple fact that a “flagship” device was released with an already obsolete version of the Android OS, then allowed to languish without an update, is troubling for both the platform, and for Verizon. We haven't seen any official Droid X sales numbers, but it sold out quickly upon launch, and a Droid Life report mentions that there are at least half a million Droid X's out there, so it isn't like this is an unpopular device, which makes the lack of Froyo all the more puzzling. Hopefully come Monday we should see a newly-rejuvenated Droid X with feature-parity across Verizon's entire Droid lineup. And this should serve as a lesson to both carriers and consumers: Releasing devices with older OS versions may not be worth the time saved in a rush to market.